AFRICANGLOBE – I received a message from one of my friends in Lebanon who asked with feigned curiosity why the U.S. media only gave a passing reference to the bombing in Beirut before turning to non-stop coverage of the attacks in Paris. Of course, like many of us she already knew the answer – that in the consciousness of the White West there is a premium on the value of White life. However, let me be clear, my critique of the moral hypocrisy of the West should not be read as a rationalization for the horrific crimes committed in Paris. And in that sense, while the victims of the violence in Paris may have been innocent, France was not. French crimes against Africans, Arabs and Muslims are ever- present in the historical memory and discourse of many members of those populations living in France. Those memories, the systemic discrimination experienced by many Muslims and the collaboration of French authorities with the U.S. and others that gave aid and logistical support to extremist elements in Syria and turned their backs while their citizens traveled to Syria to topple President Assad, became the toxic mix that resulted in the blowback on November 13. So in Iraq the Shia will continue to die in the thousands from ISIS bombs; the Saudi’s will continue to slaughter Houthi’s with U.S. and NATO assistance; and Palestinian mothers will continue to bury their children, murdered by Zionist thugs in and out of uniform, without any outcry from the West. 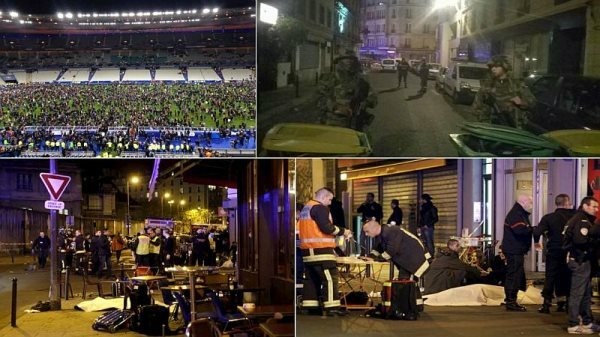 CNN and others will give non-stop coverage to the attacks in Paris because in the end we all really know that the lives that really matter are white.